Try to book by Oct. 1. 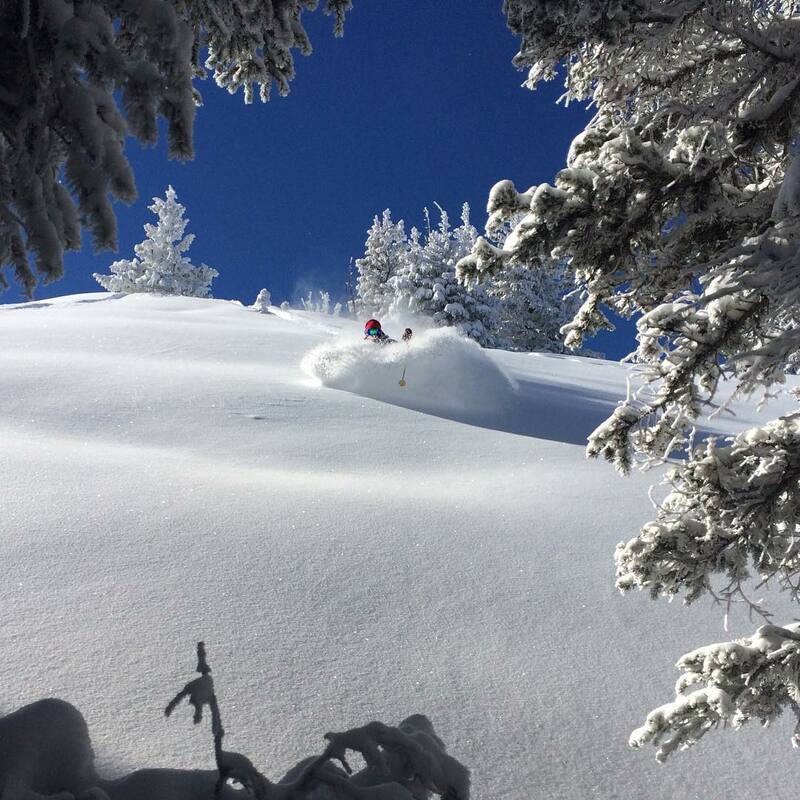 Lodging at Aspen during the holidays books out quickly, and is considered a tighter market. 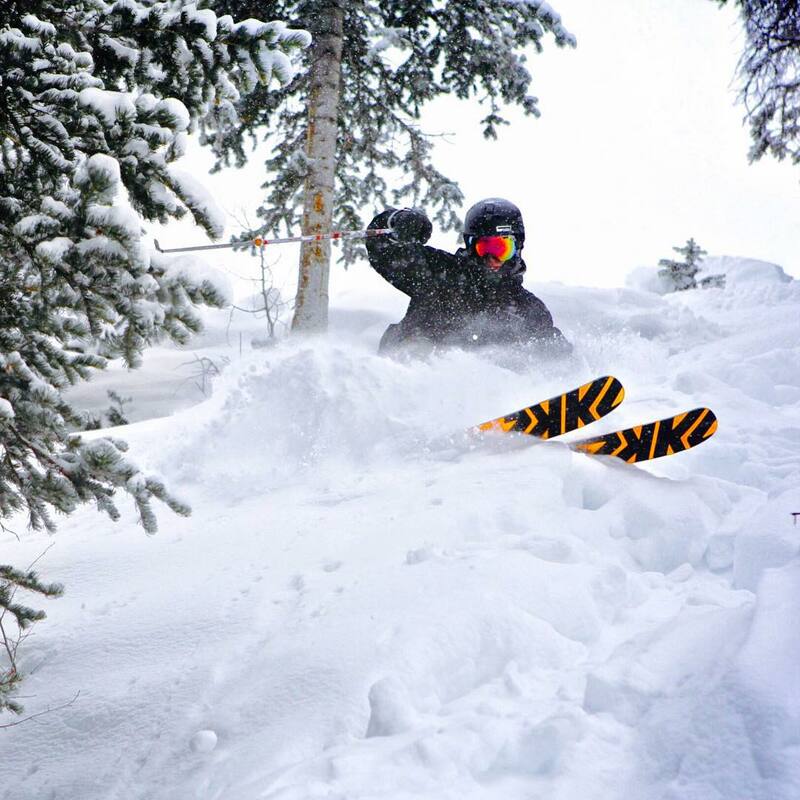 On average, 77% of Aspen's terrain is open by Dec. 25. 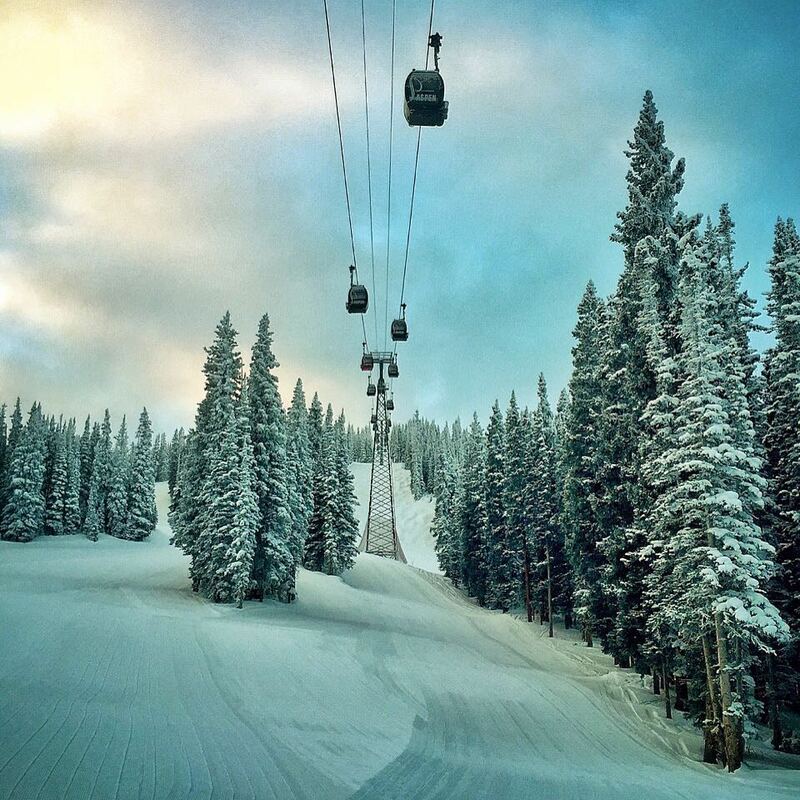 In 83% of winters, Aspen is more than half open by Dec. 25, making it a great bet for holiday ski trips. 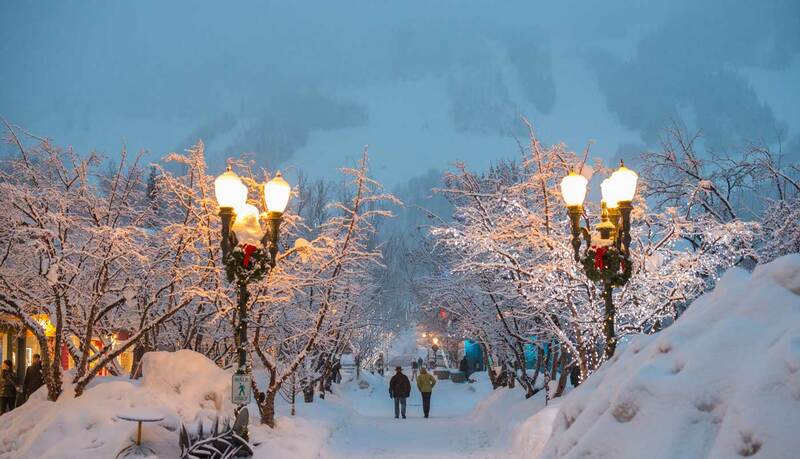 Aspen at Christmas is a unique destination. There's no place that buzzes quite like it in the mountains at any time of year, and the holidays amplify everything here: the snow, the skiing, the food, the parties. Aspen at Christmas, it can be said unequivocally, is one of the rarest—and most fun—experiences in skiing. Coming to Aspen during the holidays feels like traveling to the heart of the beast, where the grand control pad is, where the levers that control winter, snow, presents and cheer all reside. With the sun angle low in winter in its darkest days, snow piles up alongside the sidewalks, making little tunnels through which children scamper and wine-infused adults appreciate for their ambience. The streets here have a rebound to them: people traipsing in and out of shops, in and out of bars, finding a dinner spot for a little bit before heading out for more. This is one of the grand old towns in all of skiing. It's at its peak power now, when the years switch over, the days are shorter and the winter is still novel to all. With a town like this to enjoy outside of the skiing hours, skiers are less worried about the weather, about getting snow. The beginnings and ends to the day here in Aspen are as good as the middles. Traveling to Aspen maybe the easiest Christmas ski trip of any in the western United States. The airport is a dynamo, with more direct flights than any other ski town airport. During the holidays, most airlines are running 50% more flights into ski towns then they do during the rest of the winter. That means as many as 10 direct flights a day into Aspen's airport from hubs like Chicago's O'Hare. Just as good as the rapid cadence of flights into Aspen, is where skiers find themselves when they land. If one wanted, the walk from the tarmac to the slopes at Aspen Buttermilk takes about five minutes. The cab ride into town also takes about five minutes. It's so short that most hotels will fetch their customers at the airport for free. Paying for a car or shuttle is not required. 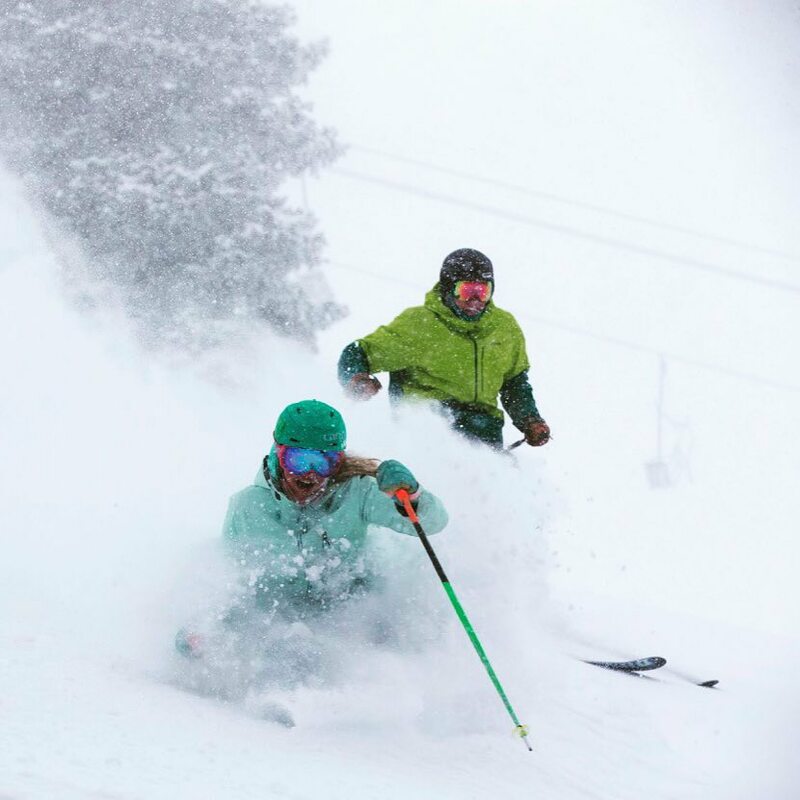 With so many flights from so many cities across the United States pouring into this one location, many skiers will be able to accomplish they sought-after double helix of ski travel: skiing on the day of arrival and on the day of departure. That means a four night trip can deliver five days of skiing. Those flying from Chicago (where the owners of Aspen Snowmass live) can board an 8 a.m. flight from O'Hare to Aspen and by skiing the top of Aspen Mountain by noon. On the last day of a trip, skiers can ski until 3 p.m. and easily catch a 5 p.m. flight back home, and be in bed at a normal hour. During the holiday weeks around Christmas and New Year's, there're extra flights into Aspen from all the major hubs and some locations that aren't hubs. But Aspen is a popular place, so booking early is always a good move. 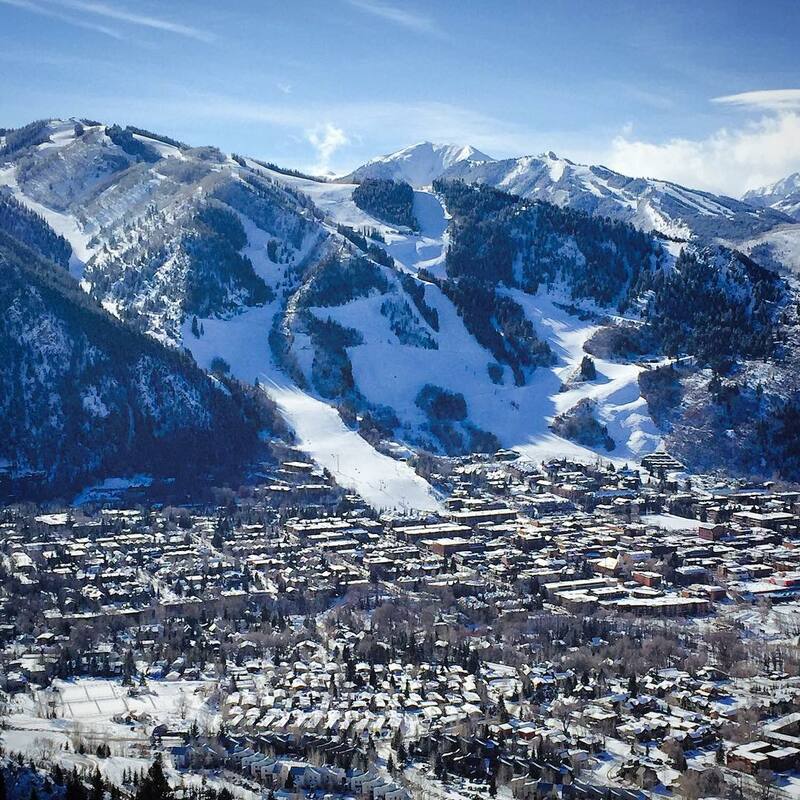 Aspen, as one of the truly great towns in all of skiing, acts far more like a little city than a far flung town. Traveler and skiers here don't need a car once they get to their lodging destination. For most places, if the slopes aren't walkable, then they're easily reached via the town's free bus system or through complimentary hotel shuttles. At night diners can walk to a lineup of bars and restaurants that very few, if any, other ski towns can match. When the evening is winding down, skiers can easily peel off to their own lodging whenever it feels best to them, leaving the group to keep up the revelry. Everything is so close and accessible in Aspen that there's no reason that members of a group have to stay out any longer than they want, just because others are still partying hard—something that's easy to do in Aspen. There are only a few towns and ski resorts that come together in such a nice fashion as does Aspen Mountain and Aspen. 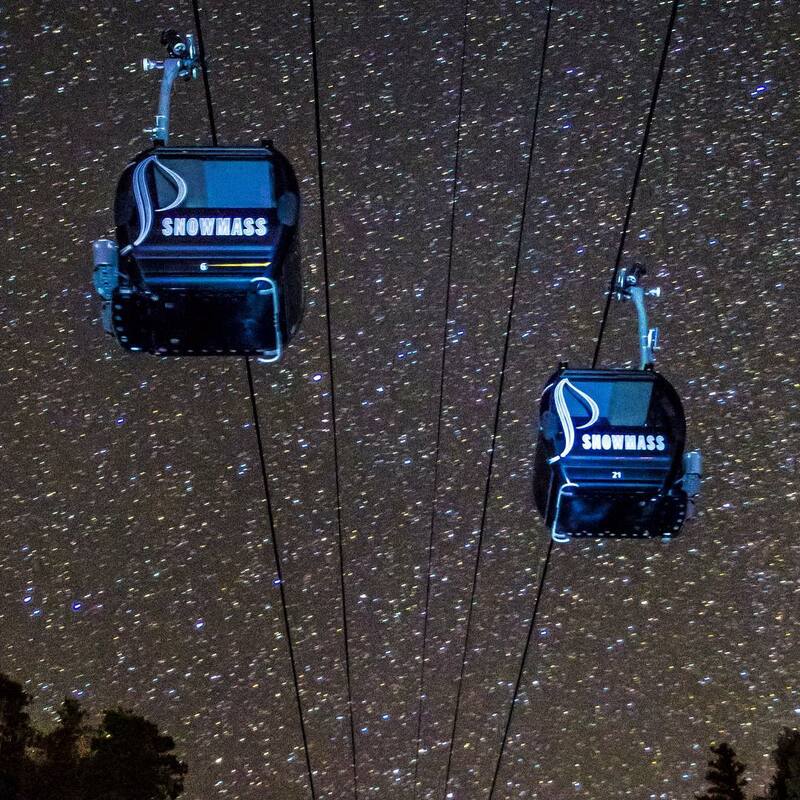 Telluride and Park City are the only places that compare. That gives all of these towns an advantage during the holiday Christmas season when the sun is lower in the ski and the days are shorter. Going from the lift or the run straight into town, into a bar, or into a restaurant to meet family makes for the perfect pivot in the day, when the physical playing of being out in the sun, on the snow, gives way to hours spent with family and friends, either at skiers' own lodging or at some of the excellent dining and drinking establishments of Aspen. One of our favorite places to stay in Aspen makes this kind of thing easy. The Gant is one of the great establishments of old town in Aspen, and it offers skiers the perfect place to be on holiday ski trip. Getting to the slopes at Aspen Mountain from The Gant is sneaky easy, as skiers can slip out the back of the place—to the west—and meander a block and half over to ready-made inlet of snow leading straight to Aspen Mountain's gondola. Taking a family ski vacation during the intense holiday months can be challenging. If you do it, you want everything to go off flawlessly. That means not ending up at a mountain that is too intense for the smaller or younger members of family, and not challenging enough for some of the hard-charging ski enthusiasts that are part of the group. Most families that take ski vacations during this period of year mark off close to a week for their trip. So wide swaths of varying terrain are necessary to keep all members of the group sated. Luckily, Aspen is just the spot for this. 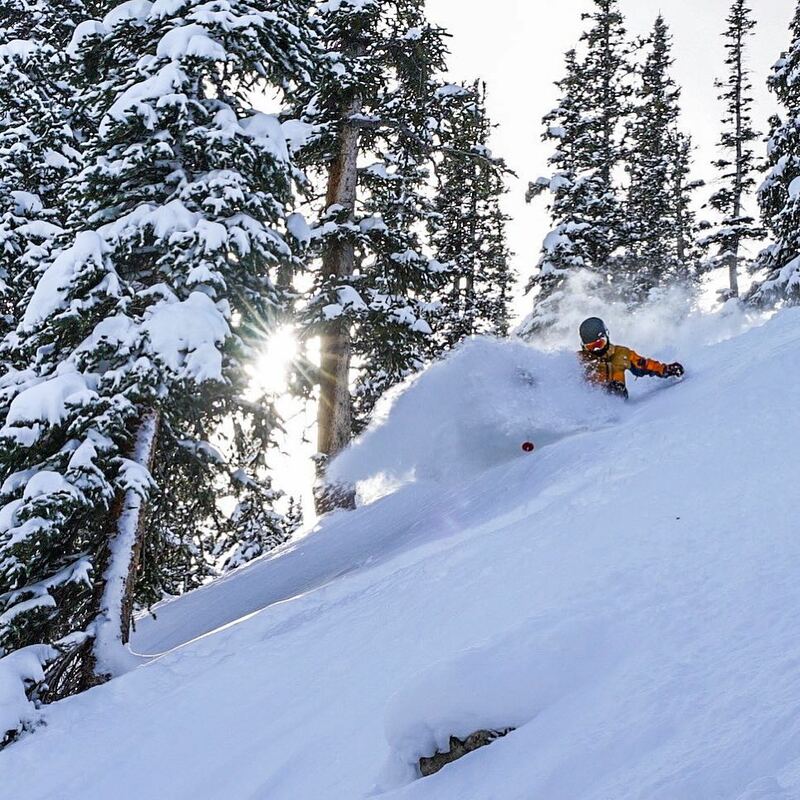 With four separate mountains at Aspen, each with their own strengths, everybody will feel challenged or comfortable, depending on their skiing preferences, in Aspen. 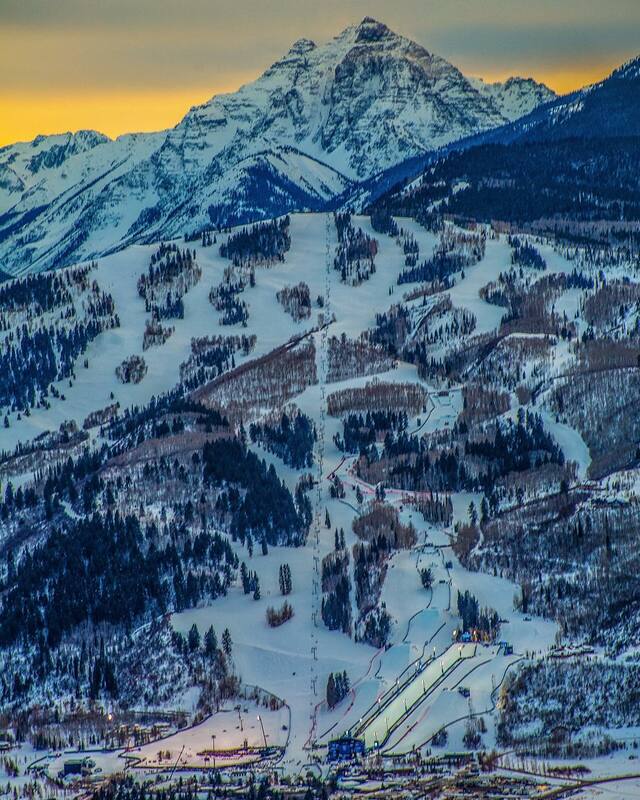 Aspen Mountain is the grand old ski hill of Colorado. It spills directly into the center of town, allowing skiers to walk to world-class art galleries, their hotel rooms, or eateries worthy of a Michelin star in a short matter of blocks from the edge of the snow. This is the place that ends up on the front of your postcard, whether you ski there a lot or not. The cool thing about Aspen Mountain is that it has some sneaky good skiing. Many of the people who head to this town hill stay on groomed tracks going right down the gut of the place. For the intrepid, this creates a bevy of opportunities. Experts can mine the trees and side bowls for decent stashes all around the mountain for several days after a major snow event. Aspen Mountain is not a great place for beginners. Its fall lines are pure and unrelenting from the top to the bottom, which makes it a wonderful place to ski for upper intermediates and experts, but beginners can't find much of a break here. 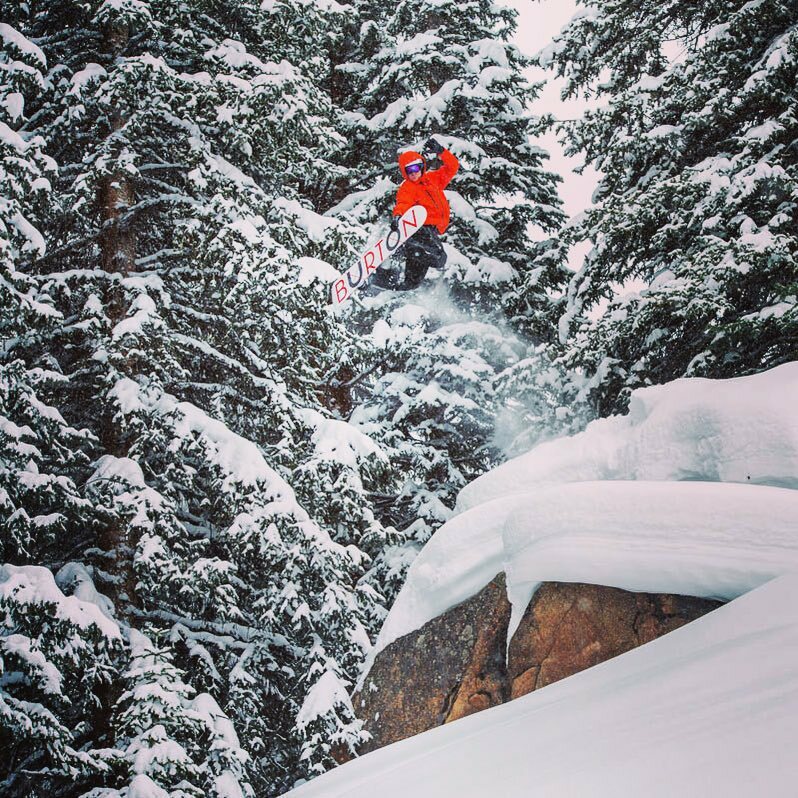 Luckily, Aspen has one of the best beginner mountains in the entire west in Buttermilk. From the get-go, the experience at Buttermilk is tailored toward beginners and families. The parking is close, free and abundant, which keeps the heavy sweating for mom and dad as they ferry kids and skis to ski school and the slopes to a minimum. The ski school building is a brand new facility, and its finishes are still shiny, a nice change from many of the understandably beat-up ski school bases around the west. The terrain at Buttermilk is strikingly consistent and mild; a perfect place for beginners and those who like to take it easy on the snow. There are trees and woods for kids to play in, and from time to time there can be giant, world-class halfpipes and big air ramps built up (this is the place the Winter X-Games calls home). 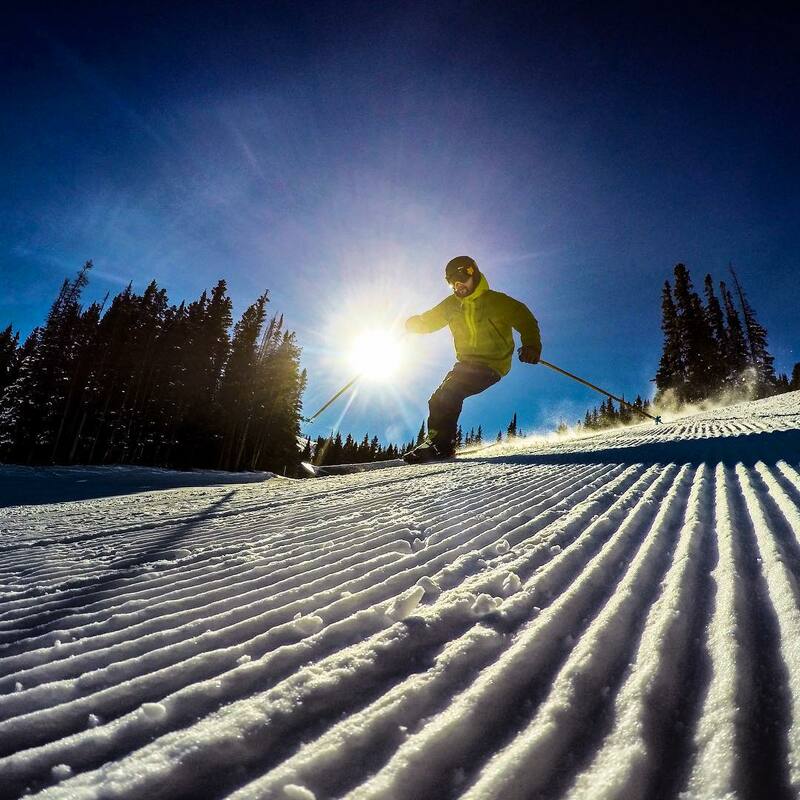 Highlands is home to our favorite slopes in the Aspen area. The runs here are well-pitched and long, and often bereft of people, a happy circumstance during the Christmas skiing holiday, when many ski resorts can be mobbed. Highlands is also home to one of the more famous in-bounds hikes in all of skiing. Skiers who put in the 20-minute effort on the bootpack benefit from some of the best views in central Colorado. Highland Bowl's elevation tops out at 12,392 feet, so the hike will put a hurt on those showing up from the coasts or the Midwest. But it's a good hurt, one whose salve is known to be cold pilsner. The Highland Bowl offers skiers steep lines and fall lines that peel off as they should: straight down. For skiers who aren't up for the hike—or any of the expert delights available on the far looker's left of the mountain—will find an abundance of rolling blue groomers where the throttle can be let out and GS turns made in full. Getting to Highlands is easy on the ubiquitous busses leaving town. For those driving, the parking is close and easy. Highlands is an interesting mountain in that, even though it's owned by the second largest ski resort group in North America, it feels more like a local hill in a less glitzy part of the world. The place isn't cheap, clearly, but it's laid back, and there's plenty of room for everybody. The base area isn't choked with people, condos and hard-to-navigate parking schematics. For Christmas, Highlands may well be the best place to be in all of Colorado, if the snow has been cooperating. ZRankings has special rates for Aspen!